A couple years ago, I bought the planner published by The Old Schoolhouse. You have to understand, I want to love a planner. I want to have a plan. But… kids. Plans rarely go the way I, umm, plan. It’s easier not to plan. But… when it comes to homeschooling, I have to have a plan or our year slips by without proper accomplishment. When I used the Old Schoolhouse planner, I had a love-hate relationship with it. It was the first planner I’d ever had for school that had enough spaces for all of my school-age children. It was the first planner I’d had that was written from a Christian perspective, with encouraging bits spread through it’s pages. I had to admit, as far as planners and I go, it was pretty fabulous. It had everything I needed. It’s still a planner, but it served it’s purpose very well. When The Old Schoolhouse Hey Mama! Print Schoolhouse Planner 2016-2017 actually came up for a review spot, I was kind of excited. It’s a planner that gets me! It doesn’t make this more complicated than it has to! I don’t have to run two planners simultaneously to have space for six school-age children! It has nearly two hundred pages in a wire-bound style that allows the pages to flip easily and lay flat for writing near the binding with ease. Gena Suarez, publisher at The Old Schoolhouse and “just another mama” writes encouraging notes throughout – bits of treasure for the hard days of homeschooling. The front of the planner has small calendars for 2016, 2017, and 2018, followed by July 2016 – June 2017 calendar pages with two pages for each month. Following those are about eighty pages with six columns on each two-page spread, to easily plan schoolwork for up to five students for five days. The columns are blank for absolute freedom in how you choose to use your planner. At the back are pages for monthly goals, semester goals, yearly goals, attendance, curriculum planning, story starters, books read, and a host of fun info like the thirteen colonies by date, timeline of inventions, branches of federal, state, and local governments, states and capitals, info on creating an academic transcript, and a checklist for skills learned page. There’s a few fun pages of info that were interesting and refreshing in the land of planning. 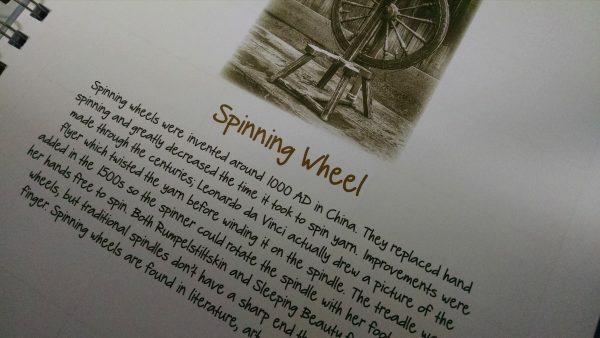 Cast iron pans, spinning wheels, irons… just fun. In short, it’s a concise, here’s-what-you-need, plan to be made for the year. I use mine for recording lessons done and time taken, since Missouri requires recording hours spent in schooling. I make a plan for the week before we begin and fill in the time taken after… always in pencil, because that plan I have and the actuality of life are never in agreement. When I used this in the past I had just four students and it had plenty of space for that, but this year I have six. Since I’m still setting up my planner for the year, I’m up in the air how I’m going to handle that, but since Liberty and Eden have the majority of their work at co-op, they might end up having to be in a separate planner. I’m still trying to figure out if I can get all six in here, since it’s far easier to have things in once place together. I love that this planner is far more big-family friendly than anything I’ve found anywhere else. 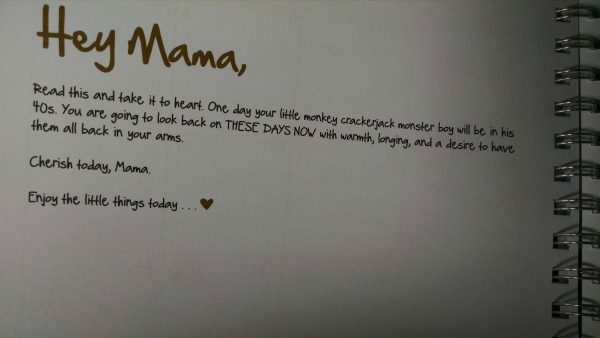 The Hey Mama! 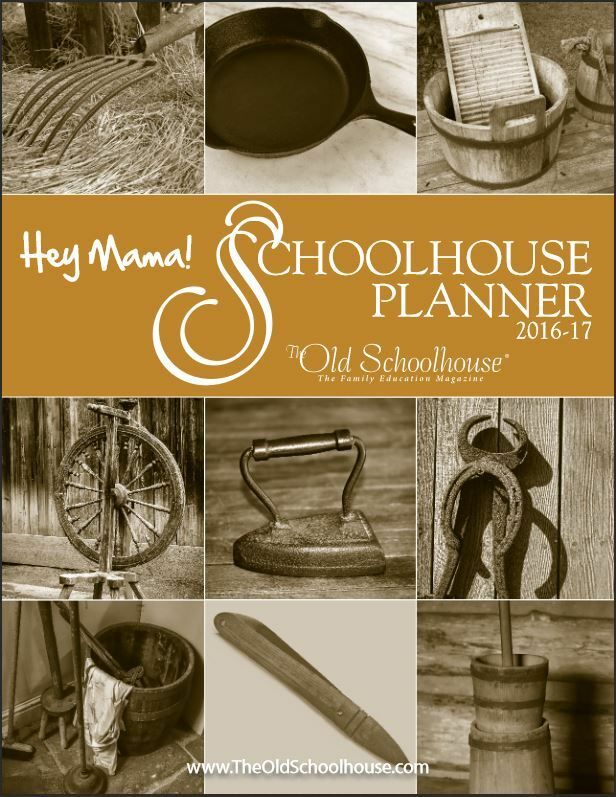 Print Schoolhouse Planner 2016-2017 is $29 with free shipping in the United States. There’s a “Low Stock!” warning on their website so… don’t wait! I haven’t found a planner I like better anywhere. The Review Crew has 125 member who reviewed this, in every walk of homeschooling, family size, and learning needs. See what they thought too!